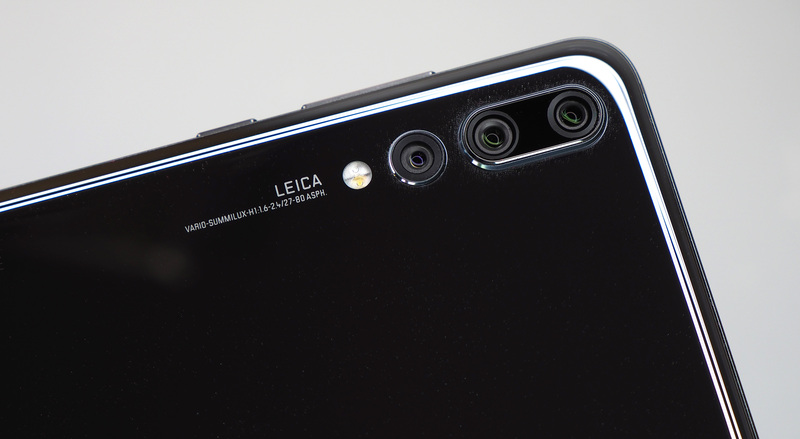 We review the Huawei P20 Pro with triple Leica cameras - the World's first smartphone with three cameras on the back of the phone. The Huawei P20 Pro is a stylish high-end smartphone and the first to feature three cameras on the back, however the results don't necessarily live up to the hype. The Huawei P20 Pro is Huawei's top of the range flagship camera phone, the smartphone features a "Leica Triple Camera" and it is the first smartphone with three cameras on the back, consisting of a 40mp f/1.8 main camera, 20mp f/1.6 black and white camera, and an 8mp f/2.4 telephoto camera giving 3x zoom. Let's find out how this new smartphone performs. The 40mp and 8mp cameras are next to each other, with the single 20mp monochrome camera on its own, with a dual LED flash, and then LEICA branding. 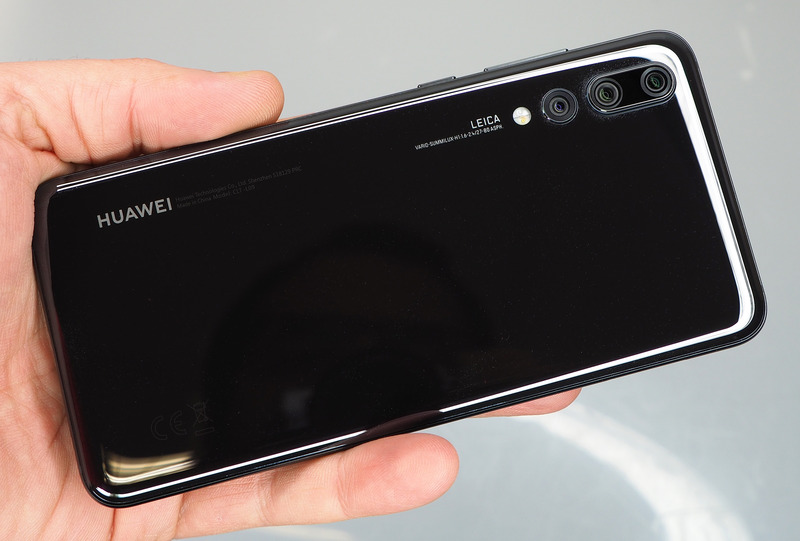 The 40mp camera is larger than most smartphone cameras, with a 1/1.7inch sensor with "Quad Bayer" sensor - which Huawei also call "Light Fusion Pixels". The phone uses the other camera(s) including the black and white sensor to add detail to images. There's a colour temperature sensor below the LED flash. The selfie camera on the front of the smartphone features a 24mp f/2.0 camera. Optical image stabilisation can be found on the telephoto camera, but details on the other camera units is not available, Huawei say that "AI Image Stabilisation" is used, combining a number of shots to reduce image shake or blur. Huawei says that the smartphone features AIS - Artificial Intelligence Stabilisation - however, in iFixit's teardown of the P20 Pro, they seem to think that all three rear cameras feature optical image stabilisation, while JerryRigEverything confirms that only the telephoto lens has OIS. Huawei state that their solution comprises of hardware and software, and "AIS (AI Image Stabilisation) enables some truly exciting possibilities such as shooting clear photos in low-light conditions without a tripod." The camera can record 4K (UHD) 30fps video, as well as high-speed video at 960fps at 720p, or 120fps video at FullHD resolution. Handheld Night Mode - enables night photography without a tripod, with Huawei saying up to 4-second shots are possible. Using "AIS" Artificial Intelligence Image Stabilisation. 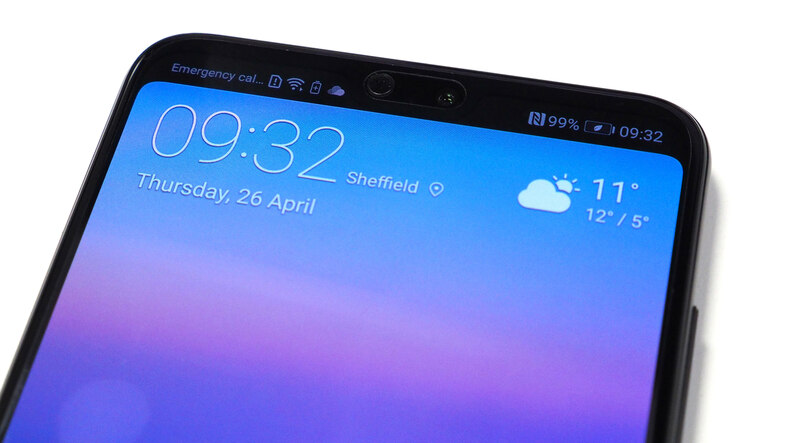 Like the Huawei Mate 10 Pro, the camera features "Artificial Intelligence" scene recognition, however, the P20 Pro will now recognise 19 scenes and object modes. The phone will then adjust colour, contrast, brightness, exposure, noise reduction and image sharpening to suit the scene. 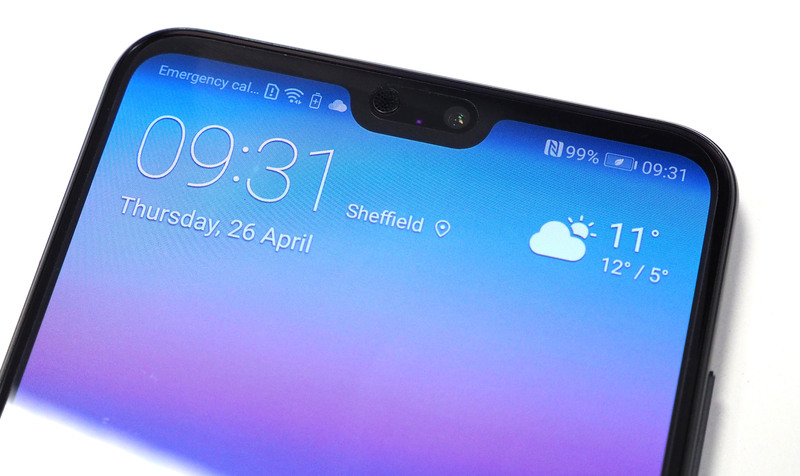 There's a 6.1inch HDR10 screen, with an 18.7:9 ratio, and FullHD+ 2240x1080 resolution, with a small notch in the top where the speaker and selfie camera is. 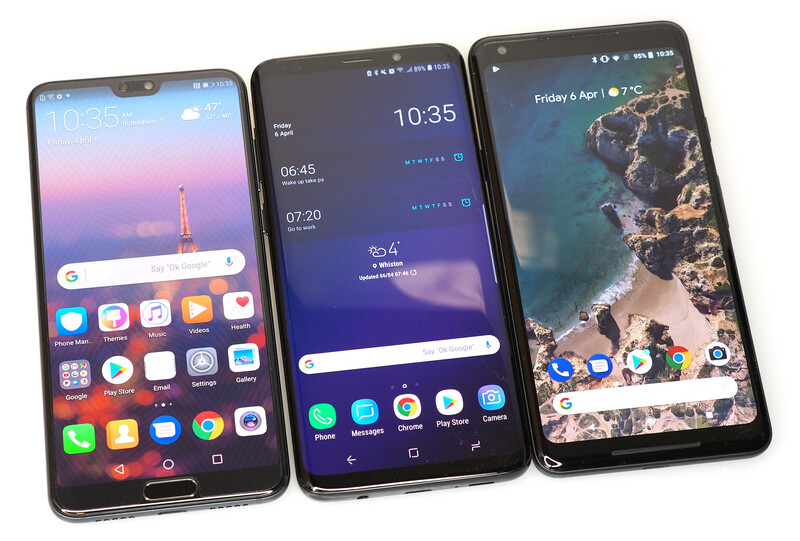 Huawei P20 Pro Vs Samsung Galaxy S9 Plus Vs Google Pixel 2 XL. The P20 Pro goes head-to-head with other large smartphones, such as the Samsung Galaxy S9 Plus (with 6.2inch screen and dual camera), Google Pixel 2 XL (with 6inch screen), and iPhone X (with 5.8inch screen and dual camera). The photography app gives you manual controls, and you can shoot raw images as well (in Pro mode). There are numerous shooting modes available including Aperture (letting you set the aperture between f/0.95 and f/16), Night, Portrait (with bokeh, beauty and lighting controls), Photo, Video, Pro, Monochrome, Time-lapse, Watermark, Panorama, HDR, 3D Panorama, Slow-mo, Light Painting, Filter, and Document Scan. You can download additional modes as they become available, such as Good Food. The fingerprint sensor is on the front of the smartphone, under the screen, and can be used to unlock the smartphone. The phone is waterproof (IP67 rated) to 1m for 30 minutes, and features a glass front and back, so a case is recommended. 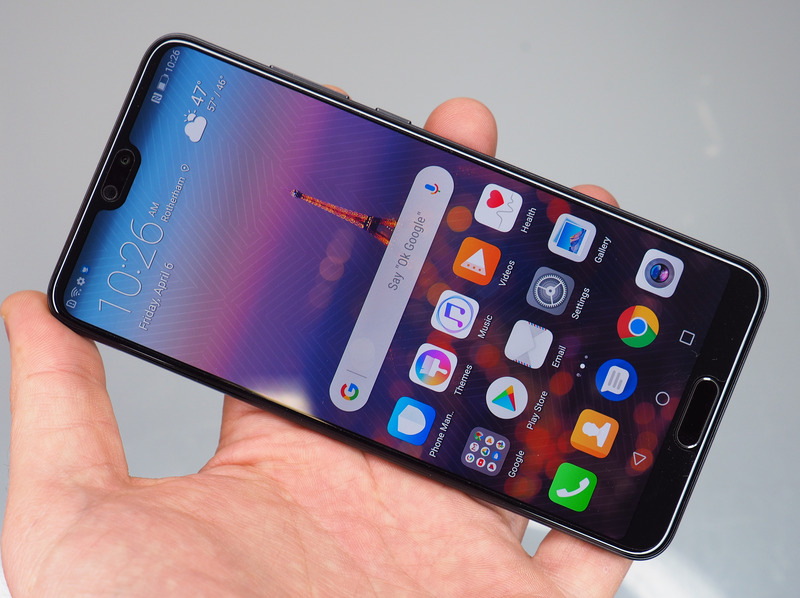 The phone features Huawei's fastest processor, the Kirin 970, with an 8-core CPU (Central Processing Unit), 12-core GPU (Graphics Processing Unit), as well as an NPU (Neural-Network Processing Unit). It's this last part, that the smartphone uses to give the camera "AI" or "Artificial Intelligence". The P20 Pro comes with 6GB RAM + 128GB ROM - this is plenty of storage, giving 111GB usable, which is a good thing, as there is no support for a MicroSD card. Battery life is provided by a non-removable 4000mAh battery, with smart power management, and fast charging. The phone uses USB Type C, there is no headphone socket, instead providing an adapter in the box, as well as USB Type C earphones. The P20 Pro feels solidly built, although you will most likely want a screen protector and case to protect the glass on the front and back of the smartphone. The metal sides and buttons give a premium feel, adding to the solid design of the smartphone. Like most smartphones with a glass back, the back is a fingerprint magnet, so you may want to quickly put on the case, or you may want to put a skin on the back to stop the phone sliding around so easily. 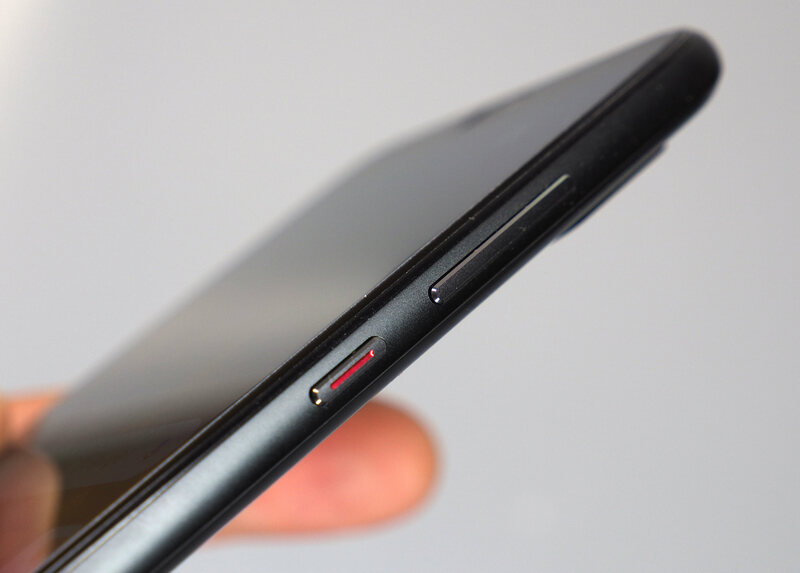 The Huawei P20 Pro has a slim body, measuring just 7.8mm thick. The phone is also smaller than both the Google Pixel 2 XL and Samsung Galaxy S9 Plus. The fingerprint sensor is flush with the screen, and the phone unlocks very quickly. 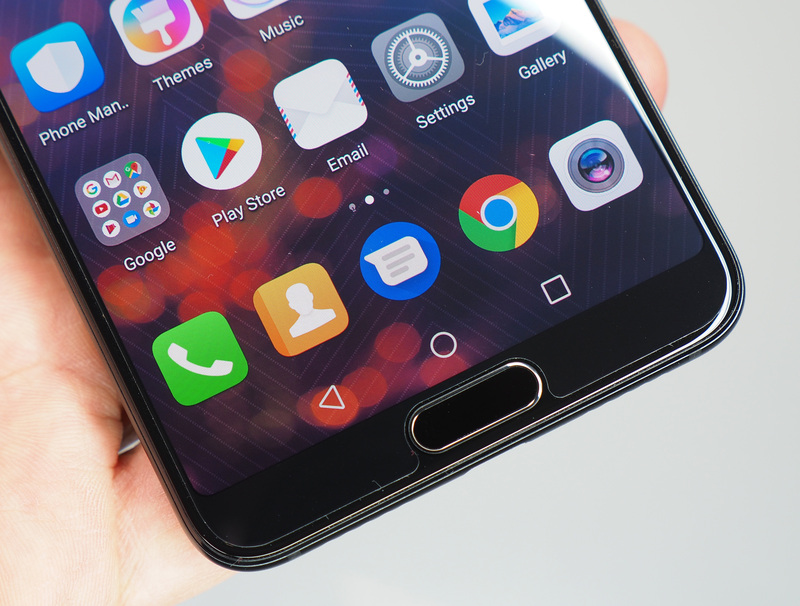 There is no physical home button, as the screen uses most of the front, and the main buttons, such as the home button is on-screen, reducing the usable screen area. In the camera app, you can scroll through the shooting modes at the bottom of the screen (above the shutter release button). You can switch between playback, photo and selfie modes, and the middle button is the shutter release button. In "Pro" mode, you can manually change camera settings, as well as switch on raw shooting. At the top of the screen, there are different shortcuts depending what photo mode you're in, but you'll also find options for QR scanner, flash, moving picture, colour (standard, vivid, smooth colours), and settings. There's a button to change the zoom level between 1x, 3x, and 5x. You can also go between 1x and 10x zoom by pinching the screen. You can use the screen to set the focus position, as well as adjust exposure. You can quickly get to the camera by double pressing the down volume button. Once in the camera app, you can also use this button to take photos, or you can set it to automatically take a photo straight away after double pressing the volume down button. AnTuTu: 208,210 score. Faster than the iPhone X, but not as quick as the S9 Plus. The phone feels very quick in use, and the camera is responsive with both fast focus speeds and shutter response. If you hold the on-screen shutter release button, then you can shoot at roughly 18fps, for up to 100 shots. Battery life - Battery life is good, with the smartphone featuring an impressive 4000mAh battery. Battery management means this should last a good length of time. As the battery is non-removable, you will need to use an external charger, if you run out of power on the move. Great read as always Josh. Missed you at the awards last week.